Ramin Djawadi has created scores for the show Westworld and movies Pacific Rim and Iron Man. 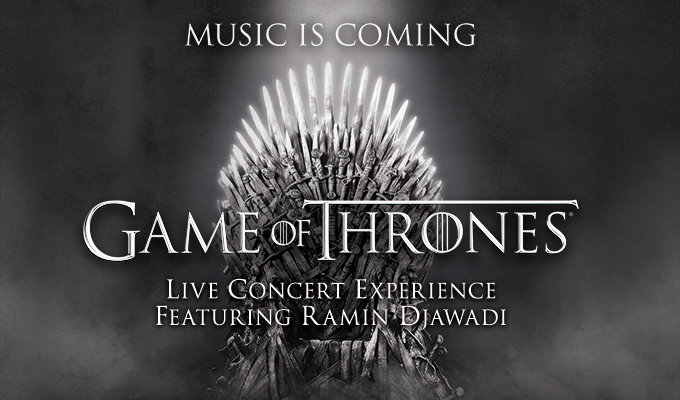 On Friday, October 5, the renowned composer brought his Game of Thrones Live Experience to Enterprise Center. The tour features a live orchestra and choir. The award-winning composer and his cast incorporated the best moments of the HBO show. The show had a creative and neat way to ask guests to turn off cell phones as Cersei Lannister, Lena Headey, asked concert-goers to turn them off. “Those who violate the rules will be boiled in the blood of their children” said Headey. The show began with the show’s title theme song. The show features two acts and a 20-minute intermission. Djawadi and his crew were nothing short of breathtaking, bringing scenes like “The Red Wedding” to life. The beautiful sound of horns and percussion filled the arena delighting fans. Djawadi showed his immense range of musical talent throughout the night, playing the piano and guitar. Probably the most enjoyable part of the show was listening to Djawadi share with the audience several production secrets of the show. One of the neater facts was hearing how Djawadi watches the entire season before adding the score. Molly Rogers, the violinist, was the standout of the night, as she was raised into the rafters of the arena while playing. The pyrotechnic effects and lighting also blended with the music and highlights perfectly. Fans of Game of Thrones undoubtedly enjoyed the evening and I think those who may not been huge fans became huge fans. Djawadi and his crew did not disappoint. The Live Experience was just the perfect appetizer to wet our appetites for the next season of Game of Thrones.